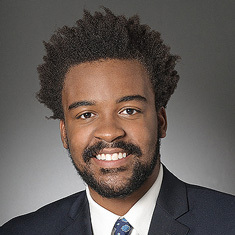 Xavier C. Watson concentrates his practice in structured finance and securitization matters. He regularly represents various parties in the structured finance market in both public and private transactions in the United States. He has experience with prime and sub-prime automobile loans and leases, dealer floorplan receivable securitizations and warehouses, secured warehouse lending facilities, revolving credit facilities and structured term loans. He also has experience with energy and commodity-related transactions. While in law school, Xavier served as an associate editor of the Journal of Business Law and received a certificate in business, economics and public policy from the Wharton School. He also served as the co-director of the University of Pennsylvania Law School's Employment Advocacy Project, overseeing the counsel and representation of low-income clients in unemployment compensation matters. Shown below is a selection of Xavier’s engagements.